Life with Fibromyalgia Syndrome (FMS) can be frustrating given the umpteen symptoms and side effects of strong medicines. But what hurts fibromyalgia patients more than anything else is the indifference they face from family, friends and colleagues. And I am not saying this based solely on my experience, for which I have so many examples that I can compile a book if I can remember them all! This is the voice of over 2000 people on the Facebook page of this blog. People not understanding FMS is one thing, but many tend to take advantage of the symptoms we face. We are used to the indifference by now, but taking advantage of our situation... this is definitely unacceptable. 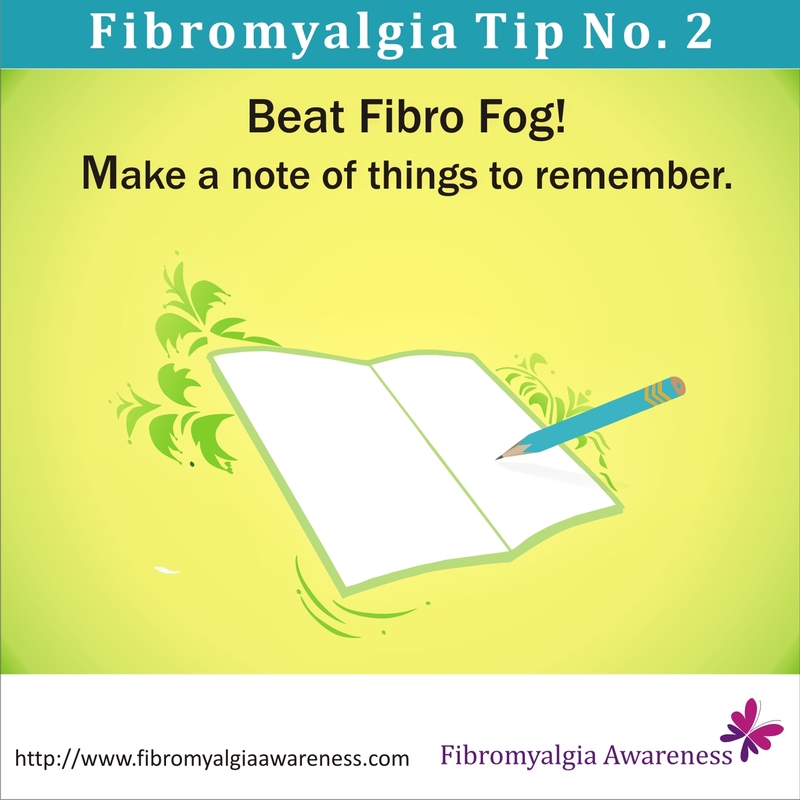 Take for example Fibro Fog (brain fog / cognitive dysfunction) which is proven to be real. For those who have not heard the term, here's the simplest explanation on Wikipedia - Many patients experience cognitive dysfunction (known as "fibrofog"), which may be characterized by impaired concentration, problems with short and long-term memory, short-term memory consolidation, impaired speed of performance, inability to multi-task, cognitive overload, and diminished attention span. I remember once a member of our page said she went on a very long drive to reach some place and after a few hours she went blank. She could not remember why she was driving all the while. Worst still, she had forgotten the note to self (about why and where she was heading that would have come handy in this situation) back home! And then, she got confused with the route to her home. Thankfully, she had her mobile to her rescue. The thing with our memory is that we can completely forget something and may or may not remember it later. But the another thing is that what we remember, we remember. So when I say I clearly remember that I told you about me going out of town this weekend, I definitely told you. 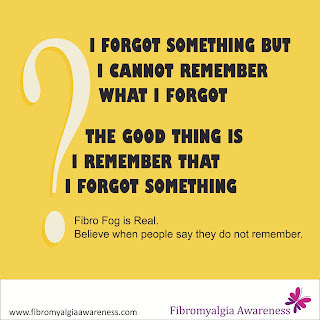 Don't make fun of my fibro fog by saying that I might have forgotten telling you. Or that I 'think' I told you, when I know I most certainly did. When I tell you that I didn't know that your spare house keys were in my purse all this while and I remembered you giving them to me only after I found them, it might be the case. Don't accuse us. Don't abuse our illness. It is possible that sometimes you also forget some things... like handing me the spare keys before you had to leave home in a jiffy. You were not born with super memory, were you? 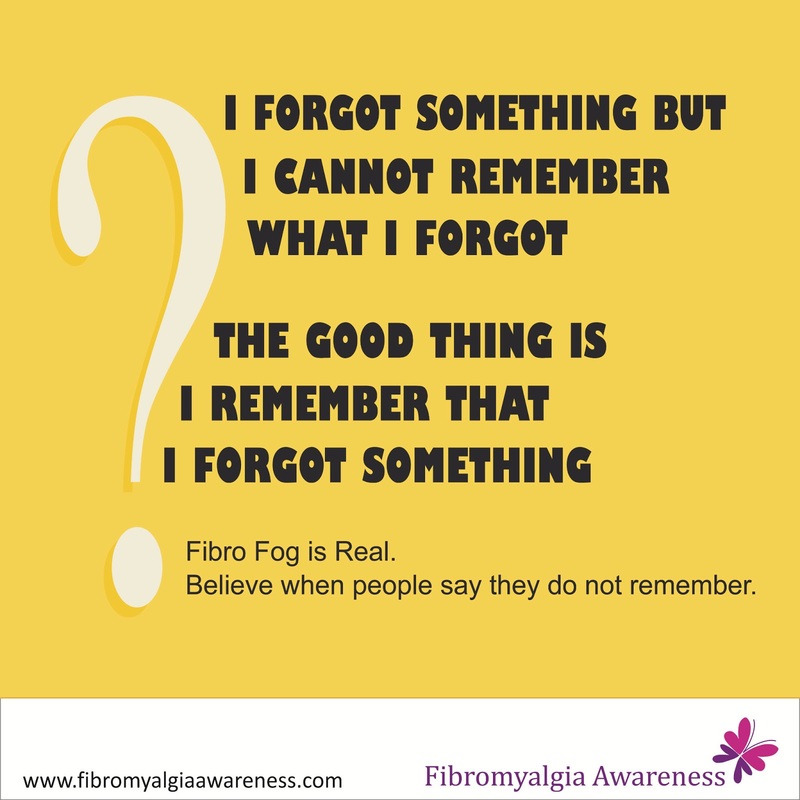 So accept this truth - we have fibro fog, we get confused and there are things we remember clearly. 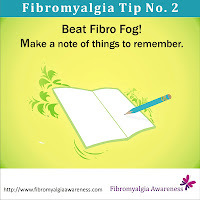 And now a note to my dear fibromyalgia friends dealing with fibro fog - Know who you should trust and count on. Keep them informed about things you think you might forget. But be careful who you let you know about your fibro fog. Especially when it comes to your workplace and relatives. Your closest friends, I guess, understand you the best and are in your life for a very good reason. Please share this article, the first in this series, to help the world understand people with fibromyalgia. I am so pleased to have found this place where I can read about others who suffer from FMS. It helps to know how the condition affects others and highlights the fact that what I sometimes feel in my body is in fact caused by the condition and not just the meds I am on, although at times it's hard to tell the difference. I have osteoarthritis along with FMS and most days I have pain in various parts of me. I am at the moment trying to do more exercise as due to steroid treatment I am carrying far too much weight. My GP is very supportive but often others don't understand the condition so on occasions, I feel I cannot share how I really feel as it begins to come across as one big pity party. So thanx to all who share so openly about coping day to day with FMS, I pray that the condition itself becomes more recognised and understood more clearly.